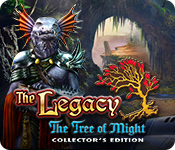 The Legacy: The Tree of Might Collector's Edition is rated 4.4 out of 5 by 40. Rated 5 out of 5 by FunwithBigFish from Long game, good puzzles and CEs The game took me about 8 hours. More challenging than any HOPAs out there these days. 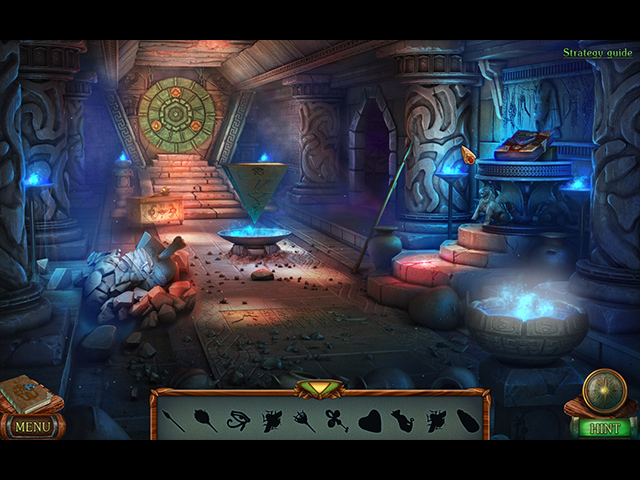 The extras are extensive, with new puzzles and games not in the main chapter. The English translation is poor for the dialogue but okay for the instructions. You have to get over the fact that the characters are created in a wooden, poorly done computer image. But the story line is good, the graphics are beautiful, not too garish, and the music was pleasant. I found it more enjoyable than the Lost Lands games; this is in the same format but is more of a fantasy world than desolate battle type of atmosphere. It was a day well spent playing this game, as I am post-knee surgery and can't do much of anything. Rated 5 out of 5 by sandy226 from My new favorite I played the Collector's Edition of this game. This was the most beautiful, immersive, challenging game I've played. (I'm not an expert by any means, so the "challenge" factor may not be so for many others.) The most important things to me, though, were the beauty of the scenery, the background sounds, the music, and the length of the game - which in my case was very lengthy. Finding the collection items was a lot of fun, too; and there were a lot of puzzles (which I like). I really hated to have it end! Rated 5 out of 5 by katnap123 from I definitely recommend the CE over the SE Lately, I haven't been writing reviews unless I really like a game. The fare hasn't been that great for me in awhile now, so I haven't written many reviews, but this game was exceptional. Sure, the story has been done before. We've all been in plane crashes and have explored deserted islands to save mankind. I wonder if Diana ever feels a sense of Deja Vu each time she explores a new island? Even if she does, Five-BN does such a fine job in creating this awesome fantasy sci-fi that I never once got bored while playing this game. The graphics were so cool when the villain was being bad. All camera angles were well done. The story was well done. The puzzles were all diverse. But most importantly, I didn't feel bogged down with too much back and forthing. The bonus game was a good long length and a prequel that flowed well with the main game. I would have been happy alone with the bonus game, but the extra game also rocks. It's twenty levels long. That's right, twenty! The goal is to place tiles in the right spots by moving them the correct number of spaces. With the quality of this game and all the extras, I really feel that I've gotten my money's worth. So wtg Five-BN! I definitely recommend this game! 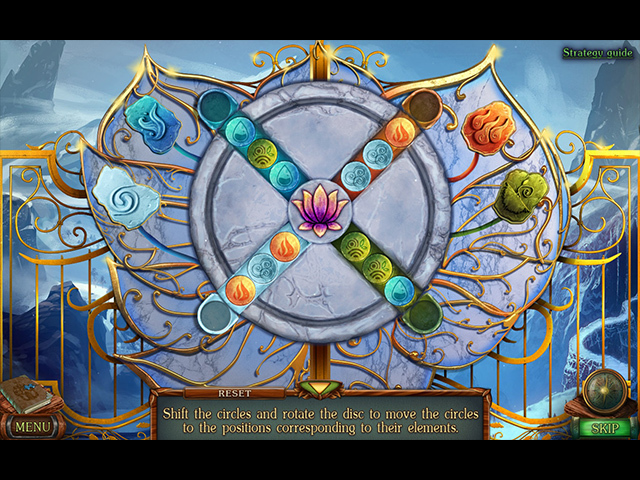 Rated 5 out of 5 by juliaeatapple from A game for puzzle lover The Legacy: The Tree of Might is a impressive game to me. It has more puzzles than other HOPs. Most of them are small, but interesting. I would say that it finds well balance between HOPs and puzzles. The morphing items and collections are challenging. I took some time to find them all. Awsome art work is there. The only thing I didn't satisfy is the story. The story isn't arrtactive to me. The characters in this game have few points to remember. 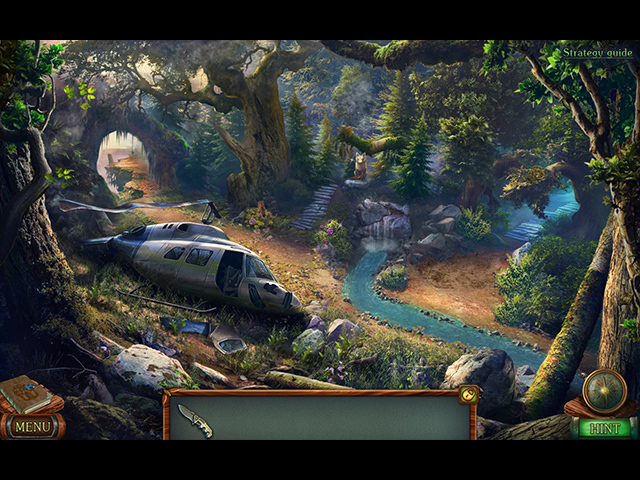 Overall, The Legacy: The Tree of Might is a wonderful game to play, but there is room for improvement at plot. Rated 5 out of 5 by Tink54rn from Fun game. Lots of challenges. Excellent game with lots of challenges. A bit too much moving around the map, but better than back-tracking a long way. I enjoyed it very much! Rated 5 out of 5 by Yanie1020 from Fantastic Game! Highly Recommend! It's been a while since I've given 5 stars to a game. This one deserves every one of them. Just play it. You won't be disappointed. Rated 5 out of 5 by SteveFromOregon from Great game, and lots of fun I love these games, with more adventure, and less hidden objects. This game really delivers, and I play a lot of games! Great story line, great graphics and most of all, its fun, not boring like some longer games, as this one. Just get it! Rated 5 out of 5 by EveBruin63 from WOW! So Good! This one has incredible graphics, depth of color, awesome scenes. Excellent story line, with some twists. Thanks for this amazing HO! Rated 5 out of 5 by codom from Fantastic Game I'm about half way through the purchased game and it's the best one I've played on BFG in quite some time. The graphics quality is what I wish all of the developers would aspire to on BFG. The story line is great and engaging and the puzzles and HOPs are not so piled on top of one another that you forget the story (as too many developers are doing these days.) 5-BN and Domini are about the only developers left on BFG that still use 3D-type graphics instead of the cartoonish 2D adopted by most other developers. I give it 5 stars but, as always, try it before you buy it!